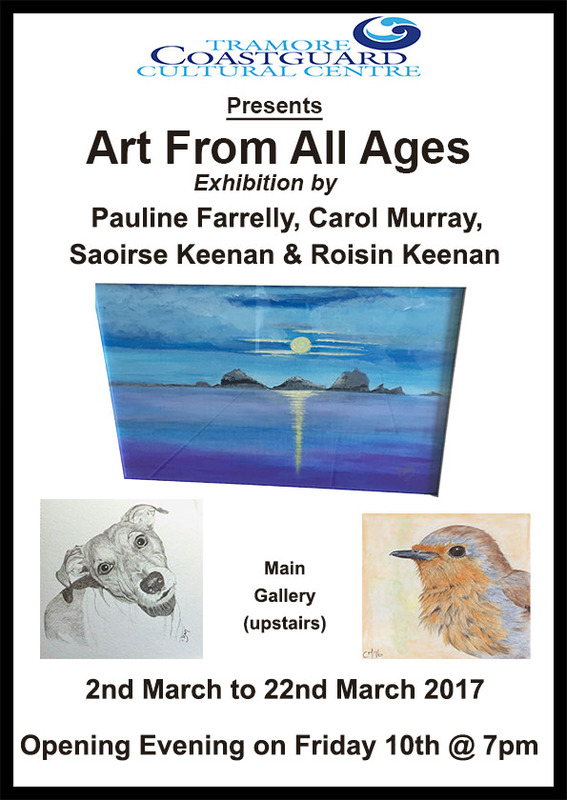 Currently exhibiting in our Open Arts Space (Porch) are local artists Carol Murray & Lisa Keane. Currently on display in our cafe. Claudia is a South African artist living in Waterford since 2014. Her love of nature in its entirety fuels her passion for art and creating timeless memories. Her art work is varied and includes landscapes, seascapes, portraits, pet-portraits and much more. Local student Muirenn Curran is currently showing her talent in our Open Arts Space (Porch). COOL ART. (Coolnacupogue). Sept. 12th to 26th in our main Gallery (Upstairs). Opening on 12th Sept. @ 7pm. All Welcome. Art & Photography by, John Heffernan, Mikey Power & Tom O’Brien. Ceramic Art by Katie Gaudig is on display in our cafe from 29th Aug to 3rd Oct.
Wild Atlantic Way Exhibition. Upstairs Gallery. 21st August to 11th Sept.
David Sutton is currently exhibiting his work in our cafe gallery until 28th August. Local artist, Ben Sheridan, has his first public exhibition here in our Open Art Space. We have a special performance this coming Sunday of classical and Irish vocal music performed by tenor Fergus McSweeney and soprano Roisin O Grady accompanied by pianist Cecilia Kehoe. Music by Handel, Beethoven, Michael Head and Thomas Moore. This is a free event and all our welcome. Should be a fabulous afternoon of music! We have a new exhibition by Piltown artist Michaela Back in the upstairs gallery. Michaela has been teaching art at the Ursuline School for the past 25 years. Michaela’s paintings tend to be vintage themed but she also enjoys creating mixed media and graphite on cartridge portraits of friends and family. 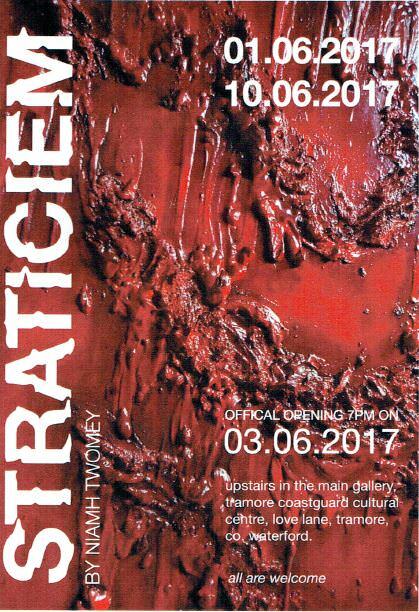 This is Michaela’s first exhibition and we are delighted to be able to support her. Michaela has an opening on this Friday @7pm with refreshments. All our welcome. Next up in our concert series we welcome two of Ireland’s finest songwriters and performers, Luan Parle and Clive Barnes, who have for many years been gaining an international reputation as solo performers. For the past two years they have been performing together to sold out audiences across Ireland, US & Europe. Please support us in bringing you this world class talent by booking tickets and spreading the word. Please click on the links below to find out more information about Luan and Clive and also see their recent appearance on TV3. 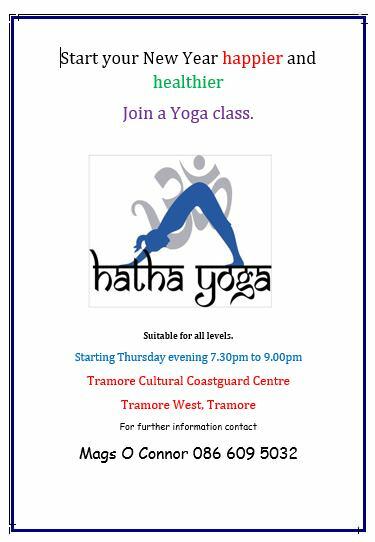 The next Tramore U3A meeting is on Thursday 20th April @11am. Entry is €2 and includes refreshments. This month’s speaker is Ifeoma Nwali on ‘My lifes journey’. so booking in advance is recommended. Our lives are full of stories, and many of us feel the urge to write down those stories, as a record for ourselves, our families and the wider world. but it can be hard to know where to start. On Saturday 1 April, writer Derbhile Graham will be holding a half-day memoir writing workshop which will help you put a shape to those stories. 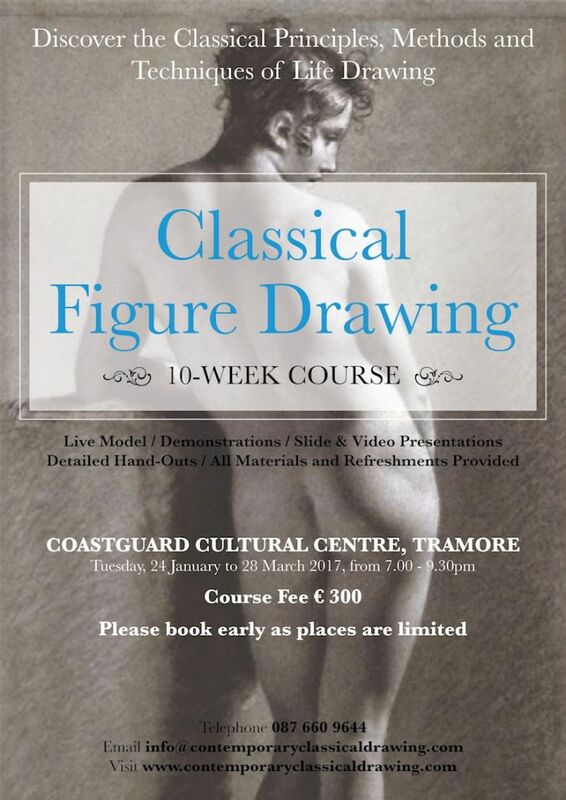 The workshop will be held here in the scenic surrounds of the Coastguard Cultural Centre in Tramore, Co. Waterford. Derbhile will help you identify a story that you would like to tell and to write that story, step by step. By the time you finish the workshop, you will have created a first draft for your story, which you can develop in your own time. 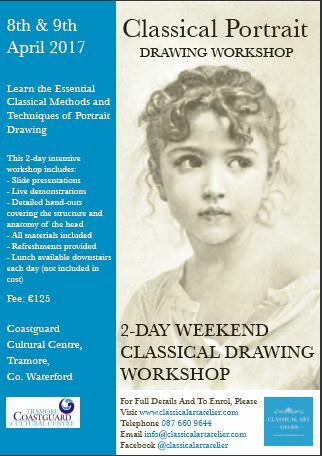 Price: €30, payable on the day by cash or cheque. 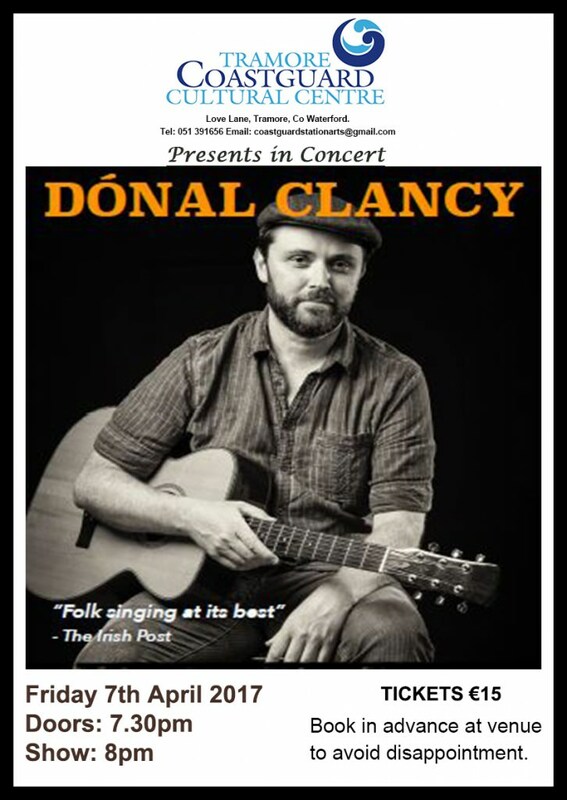 To book: Contact Derbhile on 087 6959799 or 051 386250. Or email derbhile@writewordseditorial.ie. 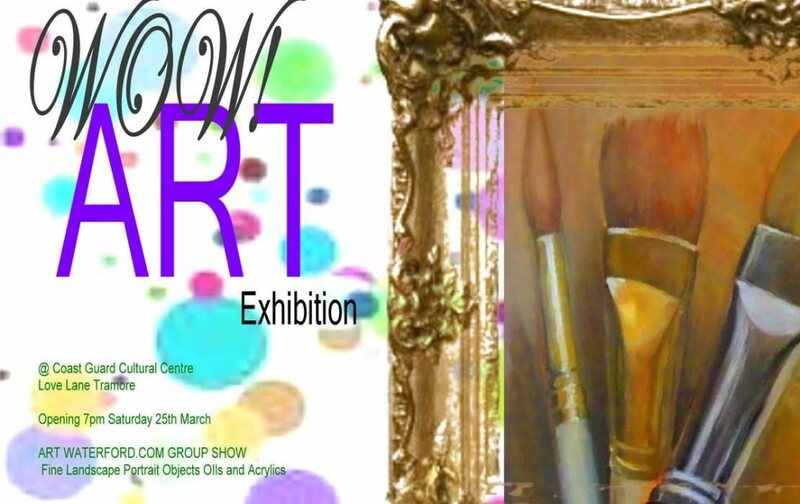 Art Waterford.com are group of artists whose work range from fine landscape, portrait and acrylics. Their open evening is on Saturday 25th March @7pm. All our welcome to attend and meet the artists behind the art. Opening evening and wine reception here on Friday 10th March. Art From all Ages would be delighted to welcome you! Winner of our Facebook competition for 2 tickets to see Jeff Scroggins & Colorado is Siobhan Grimes! Congrats Siobhan! Sarah Hogan is a fine artist painter living in Ireland having moved back home from London after 8 and a half years living, working and painting there. Sarah studied painting at Crawford College of Art and Design in Cork, Ireland. Since graduating in 2007 she has taken part in a number of exhibitions and has been exhibiting her work regularly since then throughout Ireland and the UK. We are delighted to inform you that Sarah will exhibiting here at the Coastguard Cultural Center throughout February, commencing on Friday 3rd February. Sarah will be opening her exhibition on Friday(3rd February) evening from 7pm with refreshments. All our welcome and we would be delighted to see you! As of Monday 23rd January we will be open Monday to Friday from 9am and serving the famous Waterford sausage blaa with tea or coffee for €4! To celebrate this we shall be giving a complementary sausage blaa to the first customer before 10am each morning! Look forward to welcoming you! If you interested in any classes or events being held here at the Cultural Center, please use the contact details provided for each class as they will be able to give you up to date details. Thank you. A HUGE thank you to all our stallholders who participated in our Christmas Market yesterday and to everyone who came to visit us. The day was a big success and a great atmosphere and buzz about the place! Thank you so much. We will be running our RNLI raffle until the end of the week so we can raise as much as we can for a very worthy organisation. Winner will be announced on here on Friday! Tickets can be brought in the cafe. Thanks again for all of your support!